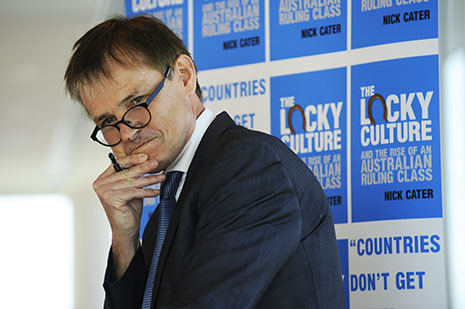 WHEN I read that Nick Cater, a senior editor at the Australian, was writing a book about “the rise of an Australian ruling class” I was a little puzzled. The only people I knew who still talked and wrote about “an Australian ruling class” were a few irrepressible Marxist friends and colleagues. And although I was unfamiliar with Cater, it seemed implausible that Rupert Murdoch would permit one of that small band of true believers to exercise any influence over the flagship of his Australian fleet. The mystery, of course, was soon solved. Cater’s “ruling class” was the same crowd that John Howard called “elites” and others, following the Yugoslav communist Milovan Đilas, called “the new class.” The average reader of Inside Story is a member of Cater’s “ruling class.” So is its editor, Peter Browne, and probably all of the contributors. But Nick Cater, oddly, isn’t – despite his tertiary education, cultural power and (I presume) hefty salary; and nor, apparently, is his multi-billionaire employer, Rupert Murdoch, although it’s difficult to tell because he only receives five entries in the index of this 300-page book. Gina Rinehart is mentioned once. Cater’s “ruling class” is a self-serving, tertiary-educated middle class that believes itself superior in every way to ordinary Australians. Australia is a naturally virtuous and egalitarian country whose culture is being wrecked by this cosmopolitan clique. 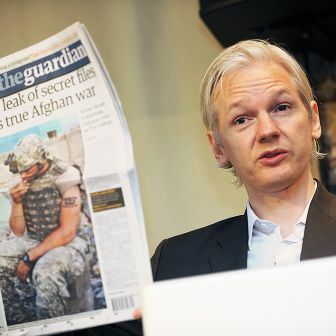 Cater occasionally pretends that his argument is not about left and right – that his elite crosses political boundaries. The pose should not be taken too seriously, for Cater is a right-wing author, and much of his book is given over to intemperate attacks on the usual targets of such authors in this country: “progressives,” environmentalists, refugees, the ABC, universities, the Human Rights Commission, the National Museum, the external affairs power and the Labor Party. 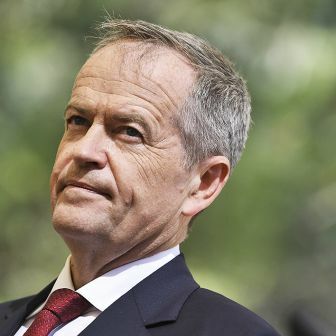 Other people – notably “progressives” – have ideology; Cater and the ordinary Australians for whom he professes boundless admiration have common sense. 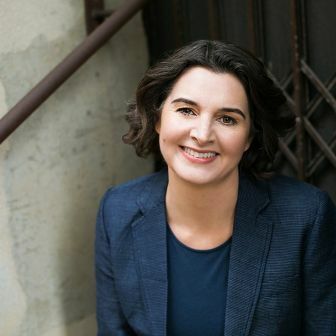 Readers with even a passing knowledge of Australian letters will immediately recognise in the title of Cater’s book a homage to Donald Horne’s The Lucky Country (1964), but the title of Cater’s book will not enter the Australian lexicon in the way Horne’s has done. Nor, I strongly suspect, will anyone still be talking about The Lucky Culture half a century hence, except as an indication of the intellectual poverty of the Australian right in the early twenty-first century. Or perhaps it will stand as evidence of its Americanisation; for while Cater’s book displays an embarrassingly superficial knowledge of Australian history and culture, no one could doubt that he is thoroughly acquainted with all those big American books of the “how left-wing intellectuals are destroying Western civilisation” variety, the kind that help you get on in News Limited. He also has a taste for elderly sociological texts, presumably found yellowing and dusty in the back of his wardrobe since his days at the University of Exeter. Peter Berger, in particular, has provided real bang for bucks. Cater wants you to believe that “there are no institutional barriers to success” in Australia, that “the only restraints are personal deficits of imagination, energy and courage.” The first of many unconsciously funny passages in this book occurs on the very opening page when, in order to illustrate his point about Australia’s boundless opportunities, Cater tells of how, within a fortnight of having hopped off the plane from Britain, he found himself in Piers Akerman’s office at the Advertiser, “with an introduction from a mutual friend.” It’s easy enough to preach Smilesian self-help — especially once you’ve done well for yourself — but a little help from your friends is also a fine thing. 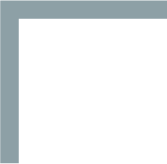 The author is addicted to other archaisms that have been thin on the ground in Australian public discourse for several generations. So we hear about “taming a continent,” “a blank slate,” “civilisation of the south” and “the spirit of progress,” all followed up by some material on the Ridley stripper and the stump-jump plough that will be fascinating to anyone absent from the Grade Four social studies class on the day these topics were taught in primary school. But if you would actually like to know why Australia was, and remains, a wealthy country, you’d be better advised to consult Ian McLean’s truly groundbreaking Why Australia Prospered: The Shifting Sources of Economic Growth (2012) and give Cater a wide berth. Cater’s Whiggish celebration of Australia as a child of what he imagines to be the Enlightenment is really just a prelude to his book’s most significant theme: the role of environmentalists in wrecking the country (and Western civilisation). Cater’s intense loathing of environmentalism and environmentalists is, in many respects, the thread that holds his book together. They are his “ruling class” par excellence, although their real significance lies less in the threat they pose to Australia’s egalitarianism than in the threat they pose to the ideal of scientific and industrial progress on which he claims Australia was founded. Yet the confused and essentially ideological nature of Cater’s argument is no more evident than in his treatment of this topic. Like the media empire of which he is a loyal hoplite, Cater evinces little admiration for climate science: Robert Manne has convincingly documented the Australian’s efforts to undermine public confidence in the scientific research demonstrating the reality of anthropogenic global warming. In these circumstances, the question of just who has rejected reason and who has embraced voodoo becomes a little more complicated than Cater would like us to believe. The absence of Aboriginal people from The Lucky Culture is also an indication that the Australian, and the political right more generally, have largely moved on from the so-called Windschuttle debate of the early noughties. It is global warming that now forms its ideological battleground, not the nature and extent of frontier violence or the existence of the Stolen Generations. In this respect, Cater’s book has genuine value as a barometer of the current obsessions of the coterie of ideologues for whom he speaks. Other absences, however, are harder to account for. I am surprised, for instance, that he has not presented us with the benefit of his wisdom on the place of Anzac in contemporary culture, which I’m sure could have lent itself well to his thesis concerning the overwhelming gulf between the real Australians of the suburbs and regions, and the effete intellectuals of the inner city – who would, of course, inevitably hold the spirit of Anzac in contempt. Cater has a poor understanding of Australian history and historiography. Being unfamiliar with the half-dozen or more significant books on early colonial history that have appeared in pretty much every year since the 1970s, he thinks that “in recent decades the only acceptable way to tell the story of early settlement is as a narrative of dispossession, magnifying hard luck and glossing over achievement to sketch an abject tale of dejected natives, exiled convicts and scorched earth.” The quality of his understanding of Australian historiography is further suggested by his view that Manning Clark, who was no more a Marxist than Cater, “trussed colonial history in a Marxist straitjacket.” Yet there are sentences in this book that recall some of the purpler – and least plausible – passages in Clark, such as when we are told that “the parched nature strips of twenty-first century Brisbane reflected an arid intellectual climate in which mankind was no longer master of its destiny.” This is apparently Cater’s way of saying that if greenies had not prevented the building of more dams in Queensland, the city’s nature strips would have looked nicer. He is a great believer in a golden age, although he’s not quite sure when it occurred. A British migrant who settled in 1989, he sometimes claims that the rot set in after that. There was apparently no sneering in Australia when he arrived in 1989, and nor did Australia – or Adelaide, at least – have a ruling class. The unkind might suggest he wasn’t looking very hard; that when someone in Adelaide asks if you “know a Downer,” they are not testing your familiarity with the local drug scene. Moreover, there was no snobbery in Australia until it was invented by “progressives”; “for the first time,” with the emergence of the Knowledge Class, “there were people who did not simply feel better off but better than their fellow Australians.” Most of these claims can be subjected to a fairly straightforward commonsense test; you don’t actually need a first-year undergraduate knowledge of Australian history to find them wanting. Alternatively, you can look elsewhere in The Lucky Culture for contradictory evidence, such as his quotation in chapter 4 from Henry Handel Richardson’s novel The Getting of Wisdom which, if it is to be treated as a source of social history (as Cater does), makes the existence of snobbery in Edwardian Australia plain enough. Cater is not skilful in his use of evidence. The Lucky Culture is not uniformly bad. In the chapter on the ABC, Cater does his best to be fair; writing about universities, he makes some telling points about the problems posed by unplanned and politically driven expansion. Still, it is hard to imagine another country in the Western world where a book as insubstantial as The Lucky Culture, and one whose intellectual agenda is so driven by the author’s manifold and well-cultivated hatreds, would be inflated into one of the great publishing events of the year. But the reasons for this are not hard to find. In the first place, the book is being shamelessly boosted by Cater’s mates at the Australian, which has also been publishing extracts. Conservatives are falling over one another to tell the world what a beaut book Nick has written, although Tony Abbott, perhaps worried about unleashing a new round of the culture wars in an election at which he would dearly love to occupy as much of the middle ground as possible, kept his distance from Cater’s argument in his Spectator Australia review of the book. 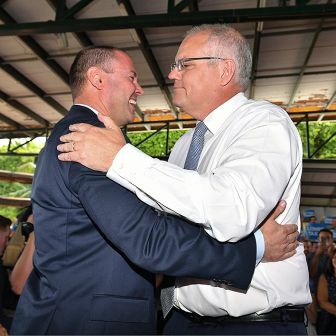 Ruddite former Labor frontbencher Chris Bowen, who launched the book in Sydney, is also an apparently qualified admirer, but given that the book seems to have been “launched” every other day since its release, this is less of an honour than it might seem. I suspect that Bowen, desperate to keep his name before the public (and with his own book about Labor on the way) and jockeying for a leadership role in the post-election, post-Gillard federal Labor Party, would be willing to launch a feint-ruled exercise book if he thought it would help him along. Frank Bongiorno teaches at the Australian National University and has been a member of the ruling class since February 1994. 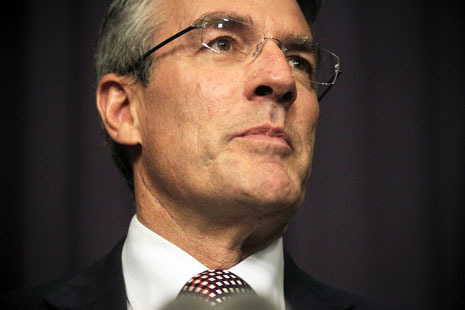 Attorney-general Mark Dreyfus says the government will take a “long look” at the reviews.